How much do you know about the Internet? But more importantly, how much have you forgotten? The chances are you have forgotten more about using the Internet than you actually now know. The problem is due to the fact that every day the Internet gets new software and apps which make keeping up-to-date tremendously difficult. It seems you have only just got used to one online service before someone has invented something to replace it. However, often those replacements or the new services are not as good or effective as old-established software. But can you remember what that old software was? And even if you can, do you remember how to use it? In many instances you could have easily forgotten things you have previously used on the web because you have changed to new things, only to find they miss out features you loved in those old services – if only you could remember what they were and how to use them…! Of course, it is not just the Internet that is a problem. Developments in many areas of our lives are at such a rapid pace these days it is hard to keep up. Indeed, research suggests that 50% of what technical undergraduates learn in their degree course is obsolete by the time they actually graduate. There is so much going into our brains these days, is it any wonder there appears to be a lot going out as well? However, an intriguing piece of research on university students shows that they can significantly improve their exam results by retaining more of what they already know – in spite of vast amounts of other knowledge coming their way – by having a weekly review. Traditionally, of course, students revise for exams in the weeks before the date of the test. But this new study adds to some other recent research which shows that people do better in tests if they have revised continuously throughout their study period. The research showed that all that was needed was 30-minutes a week, in order for it to have a meaningful effect. So, one technique you can use to keep up to date with all that knowledge about the web is to have a weekly, half-hour revision session. Go over all the things you have learned this week, make some notes and log what you can remember. If you make that part of your weekly routine you are going to be able to recall more about the Internet even though it continues to grow. 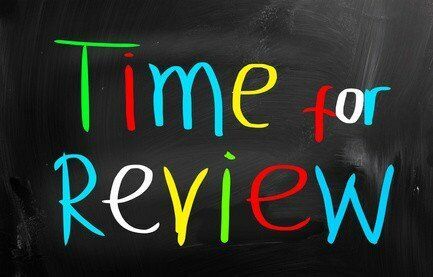 If you want to be sure to keep up-to-date with the online world then reviewing what you already know and having a weekly revision session is a good place to start.